Cap collection out of control? 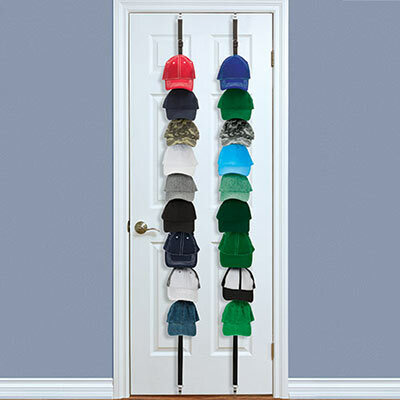 Eight plastic hooks per nylon strap can corral 32 caps wherever you want: back of the door or up on the wall. This Over Door Cap Strap holds belts and handbags, too. Hardware included. Approx. 80"l. Adjustable, fits most standard doors. Set of 2.